Changing the future. Making things possible. Unlocking new opportunities. 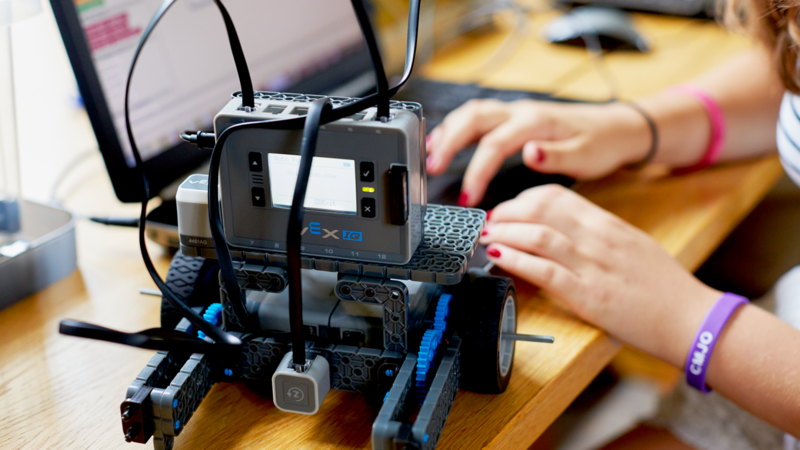 These things are at the heart of technology – and our All Girls Robotics course. 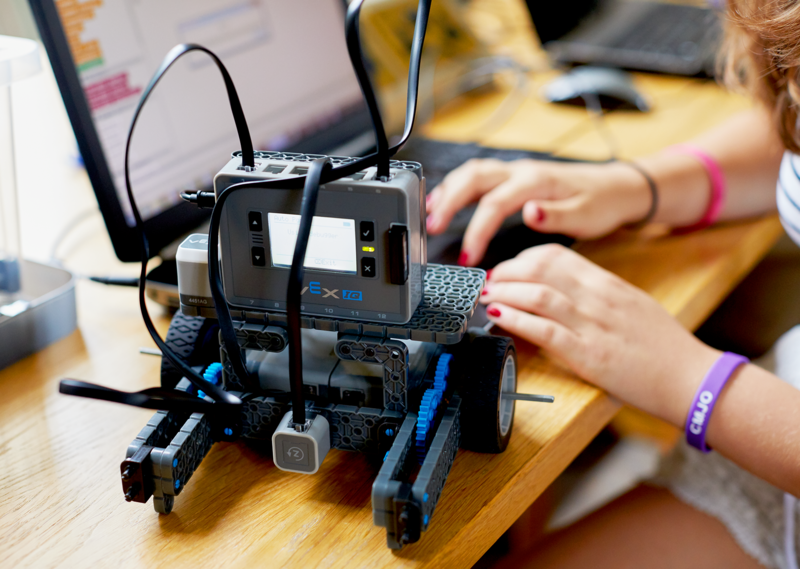 On this course, brand new for 2019, girls aged 12 to 17 can discover the world of robotics in an #AllGirls environment: learning to code in ROBOTC, working collaboratively to tackle robotic challenges and putting their robotic designs to the test against other teams. Working under the close guidance of our female instructors, teams will design, implement, test and refine their robotic solutions, programming a graphical user-interface before progressing onto the syntax-based language ROBOTC, and using VEX IQ – a leading educational robotics platform that combines snap-together construction with sophisticated coding – to deliver a final product that’s competition ready. On this course, creativity, programming and problem-solving meet in a thrilling arena that lets young girls get hands-on with coding and engineering. Whether you want to build for Boston Dynamics, lead the way in machine learning research or launch your own AI startup, this Fire Tech course will open the door to opportunity for you.